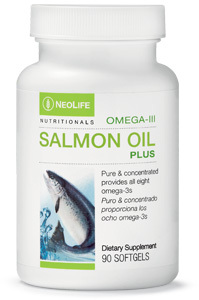 Omega-3 is the word given to a whole family of essential fats or “fatty acids” which serve important roles in our body. The parent omega-3 is called alpha-linolenic acid (ALA). ALA is an essential fatty acid for humans meaning that we need to get it from our diet since we cannot make it in our bodies. If you can picture it, from the smallest level of a cell in our body, omega-3s are embedded in the cell membranes, outside and inside the cell, being particularly rich in the cells of our brain, eyes, and heart.1 These fats play a structural role in our membranes and are used to provide important signal substances that balance and regulate our immune system. This in turn helps to ensure that our bodies inflammatory response remains controlled.1,2 Simply said omega-3s are absolutely vital to the structure and working of our bodies. Although the parent omega-3 known as ALA can be found in a variety of sources including nuts, seeds, plant oils (canola, soybean, and flaxseed oil) as well as leafy vegetables,3 humans are known to be rather poor converters of this parent omega-3 to other members of the omega-3 family, particularly to the largest family members known as the long chain omega-3 fatty acids.4 These long chain omega-3s, which include eicosapentaenoic acid (EPA), docosahexaenoic acid (DHA), and docosapentanoic acid (DPA), are found “ready-made” in fish and are the ones that really do the job of regulating the immune system and controlling inflammation. For optimal health it is particularly important to build enough of them into cell membranes. How do you do that? While you may find omega-3s listed on many food labels, it is important to recognize the difference between ALA and the long chain omega 3s EPA, DHA and DPA. The long chain omega-3s DHA, EPA, and DPA are particularly high in fatty fish such as salmon, trout, sardines and anchovies as well as certain shellfish.5 According to the American Heart Association, it is recommended to eat fish high in omega-3s at least twice a week to provide a daily average of 500 milligrams of EPA plus DHA.5 The World Health Organization recommends a range of omega-3 fatty acid intake to be 0.5 to 2% of total energy intake which may be 250 to 2000 milligrams/day for EPA plus DHA.5 In spite of these strong recommendations, consumption of long chain omega-3s are considered to be low or very low in many parts of the world.6 Consequently so many people today are missing out on the vital health benefits of long chain omega-3s. These superstar nutrients can promote healthy brain function, brain development, concentration, learning capacity, vision, heart health and so much more.3,4 With so many important roles omega-3s have in our bodies, choose what’s best, and aim to maintain a healthy you by choosing to focus on omega-3. 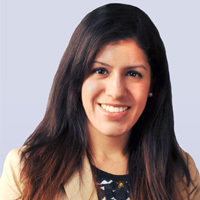 Dr. Masis is a registered dietitian nutritionist and earned her doctorate in Nutritional Sciences from the University of Illinois at Urbana-Champaign, a Master of Science in Nutritional Sciences from Texas Tech University, and both a Bachelor of Science in Nutritional Sciences and in Food Science from Cornell University. 3. Omega-3 Fatty Acids: An Essential Contribution. The Nutrition Source. https://www.hsph.harvard.edu/nutritionsource/what-should-you-eat/fats-and-cholesterol/types-of-fat/omega-3-fats/. Published September 18, 2012. Accessed May 15, 2018. 5. Essential Fatty Acids. Linus Pauling Institute. 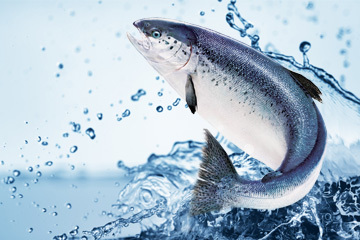 http://lpi.oregonstate.edu/mic/other-nutrients/essential-fatty-acids. Published April 28, 2014. Accessed May 18, 2018.